Luckily, new tuxedo company Generation Tux has you covered with an online tux and suit rental process that’s stress free and easy. The company was created by Men’s Warehouse founder George Zimmer around the belief that finding your perfect tux doesn’t have to be complicated or exorbitantly expensive. Generation Tux is changing the game by allowing you to rent high quality, custom-fitted tuxedos and suits right from the comfort of your sofa—so you could order your tux during commercials on game day if your heart desires. The whole process starts by allowing you to create or register for an event (your wedding! ), and later share event details with your groomsmen so that they too can easily order their. Next, you create your tuxedo look. Generation tux has 70 Styled Looks to choose from, in addition to Pinterest-friendly GenTux Studio visualizer tool that allows you to build your own. They even simplify the measurement process with step-by-step, do-it-yourself measurement videos. Don’t have a measuring tape? No problem— they will send you one for free to make sure that you get a perfect fit. And with that, your tux or suit is sent directly to your door, with free shipping, seven days before your event. Not only is the process simple for you, but it’s also really painless for your groomsmen, too. You can prompt them to order their tuxes by sending them the event info for your wedding, and make sure the whole crew looks fantastic by sharing with them the outfits you’ve created. 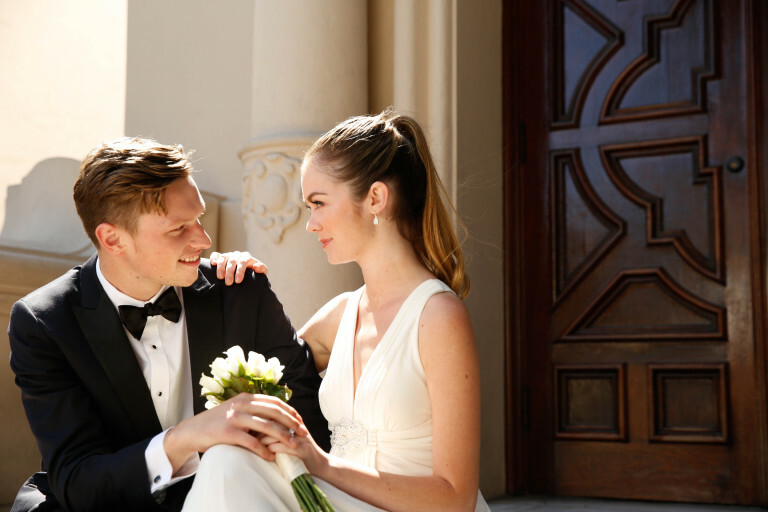 And as if outfitting you in the perfect tux wasn’t enough, Generation Tux is also offering you the chance to have an incredible wedding through a First Couple of 2016 competition. Generation Tux is inviting couples to submit a video explaining why they deserve to be the first couple married during the New Year, as the ball drops in Times Square. On November 16, two finalist couples will be announced and flown to NYC for a luxury vacation, where America will vote on which pair will be the Official First Couple of 2016. Both finalist couples win a honeymoon getaway to Palace Resorts in Cancun, Mexico. Visit www.FirstCouple2016.com for more information on how you can dress like a pro, and have an absolutely epic wedding party. Did we catch you before you popped the question? Check out some of our proposal photography for New York City proposal ideas! Paparazzi Proposals specialize in proposal planning and surprise proposal photography, to take the stress out of popping the question in New York and in every major city, nationwide.